Since his meeting with Ronie Midfew Paul has almost disappeared, we at LostArgs have no clue as to where (or when) the real Paul may be. 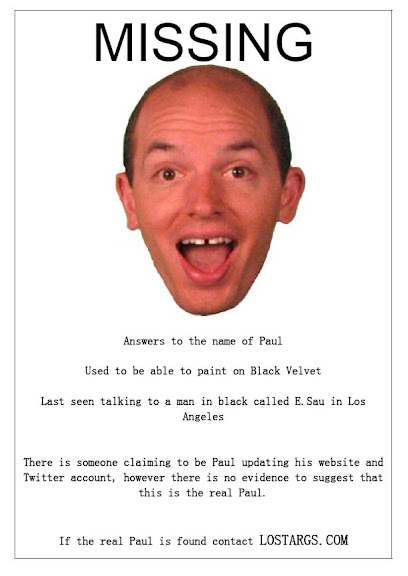 Help us locate Paul by downloading this poster - Right click on this link and select 'Save target as' for a PDF version to print out. Put the poster up somewhere prominent, take a picture of it (and yourself) and send it to us to show us how our campaign to find Paul is going.